The RDA Steering Committee has announced a community outreach event in Chicago on Tuesday, May 16th. 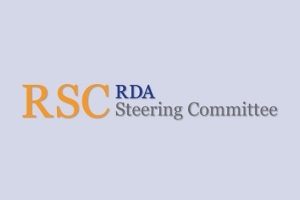 It will be a day-long event that will be attended by an extended RSC group (full RSC plus working group chairs) and will feature an open discussion of the most pressing RDA issues, including the LRM-related revisions and the redesign of the toolkit. Then event is free and will include lunch and beverages. However, space is limited so register as soon as possible. Read the full announcement.